Good Things Came in Cans Campbell's Soups Pop Tarts! One of the best things ever about the cereals were the free toy premiums inside the boxes. Often they were just junk, but every now and then, some real treasures were offered up for free, or for just a few box tops. The best thing I ever got for free from a cereal was a Matchbox motorcyle. Breakfast cereals were just too numerous to even fathom! 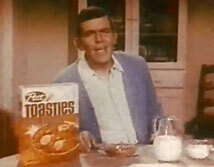 Newer and newer brands were coming out, especially toward the mid-60's. I would literally walk a mile for just one more Chef-Boy-Ar-Dee Pizza mix in the box! This was the best pizza ever. Here, in Oregon, we have pizza places that specialize in "New York Pizza". They are the best pizzas I've ever tasted, and are exactly like those old Chef-Boy-Ar-Dee do-em-yourself pizzas with the thin crust and rich, spicy sauce. There was only enough for our family to have two thin slices, but we cherished those slices like holy relics. My mom would sometimes surprise us on the night of one of her favorite TV shows "The Fugitve", by getting out the old Chef, and whipping us up a great pizza. Some of the best snack crackers like Bugles, Whistles, Bows, Daisies, Cheez-its, and Screaming Yellow Zonkers visited our cupboards in the 60's. The latter, Screaming Yellow Zonkers, came in the late 60's, and were deliciously evil. Zonkers were a buttery-glazed popcorn treat that one could eat by the bucket load. America certainly knew how to fatten us up for the kill in those days, for it was not unusual for me at all to eat a whole box in one sitting. The crackers were great, especially alongside old famous traditions as Ritz Crackers and Cheese Nips. Ritz Crackers and Campbell's Tomato Soup were an exquisite duet. Snack Cakes were the best. My parents would often shop at bakery outlets to get the discounts. 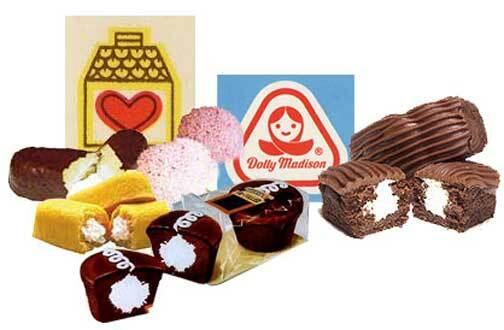 Hostess was the most popular, but Dolly Madison cakes became my favorites. I liked Hostess cupcakes of course, Twinkies, naturally, but Snowballs, I could live without. Dolly Madison produced these wonderful little miracles called "Zingers". I loved the chocolate Zingers more than anything Hostess ever produced. I think I was a bigger fan of Dolly Madison, but most of the stores in our areas only carried Hostess. More goodness came in cans. Franco-American Spaghetti was a staple in our household. Campbell's Soup, canned pork n' beans, and canned vegetables were what we grew up with. The Jolly Green Giant and his "Ho-ho-ho, Green Giant" was legendary on TV commercials. Inventions like Spaghetti-O's and Macaroni-O's were great fun, but the taste was almost unbearable. I was a very finicky eater as a kid, so most vegetables weren't my favorite, but the green giant gimmick was a good one, especially when marketing for kids as a secondary audience. Beefaroni was another fabulous taste treat that actually had good flavor. Going back to ol' Chef-Boy-Ar-Dee, Beefaroni often stood upon our pantry shelves. "Mmm-mm good, mmm-mm good, that's what Campbells Soups are, mmm-mm good." 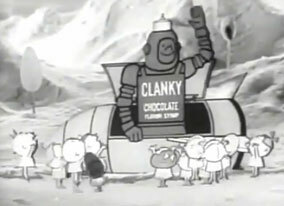 That jingle rattled through our household via television cathode rays for as long as I can remember. I loved Campbell's Soups. The alphabet, vegetable, and tomato were my favorites. Chicken Noodle was another favorite of mine, however, it was also acquainted with being sick. Perhaps that was a good thing, for missing any days at school were like vacation days! The alphabet soup of course, was like a food toy. I remember as a kid, trying to find my name in the letters. More often than not, the soup got cold while I played with it. Most pasta, in fact, was fun, because it was slippery and had cool shapes. Tomato soup was big in our household, served along side Wonder Bread and butter, and those great 4-square crackers. 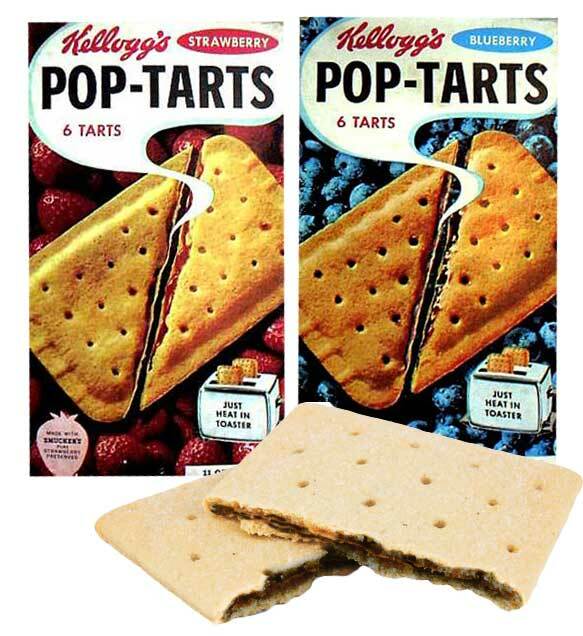 There should be a statue erected of the individual who came up with Pop Tarts. The tarts, in all their glory, stood proudly in their strawberry, blueberry, and blackberry ranks in our kitchen cupboards. The Pop Tart was a miracle product. They were especially fun to eat on the way to school on those really cold mornings. My first memory of them was in 1966. I'd sometimes have them as an after school snack, and would have them while watching "Where the Action Is". Food got a tremendous pick-me-up when celebrities endorsed the product. I'm not sure, but I think it wasn't until the 70's that we first heard the unforgettable blurb: "Mmmm-mmm! Goooood cracker, goooood cracker." 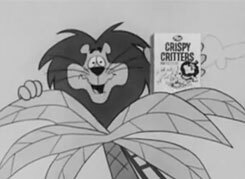 Those great Ritz Crackers commercials endorsed by America's favorite good ol' boy Andy Griffith were embellished in my head forever. I would have to call this effective advertising. Andy likewise endorsed Post Toasties. The man had the gift of making everything seem more wonderful than it really was. However, the best food spoke for itself. Foiled again! Included among the conveniently packaged food-on-the-quick campaigns were TV Dinners. I loved TV dinners. The only problem with them was that they just weren't big enough. Looking back on them now, some of them were quite fun. As a kid, I had a hard time understanding why they were called TV dinners. Perhaps they were marketed for bachelors to set on a TV tray in front of the box watching the fights. Hearkening back to 60's advertising, men's and women's roles were clearly defined. There were no overt gestures of equality whatsoever; men and women were separate entities, and advertising catered to them individually. The 60's male was considered the breadwinner of the family, and therefore, many food items carried words like "Hearty", "Filling", "Beefy", "Nourishing", and the ever-popular "Man-Size."